Well, surprise surprise! 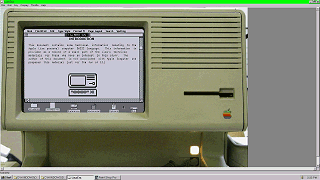 The Lisa Emulator Project has at long last produced a working Apple Lisa emulator. Now everyone can experience the Lisa Office System first hand. 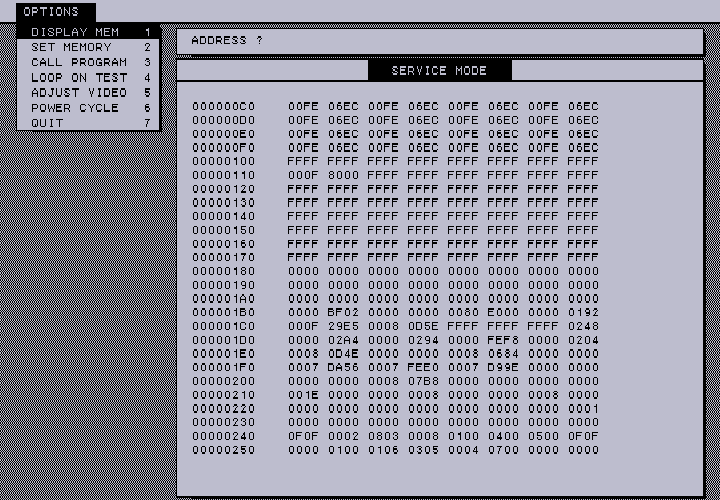 This Lisa emulator tries to give you the full experience of using an Apple Lisa. 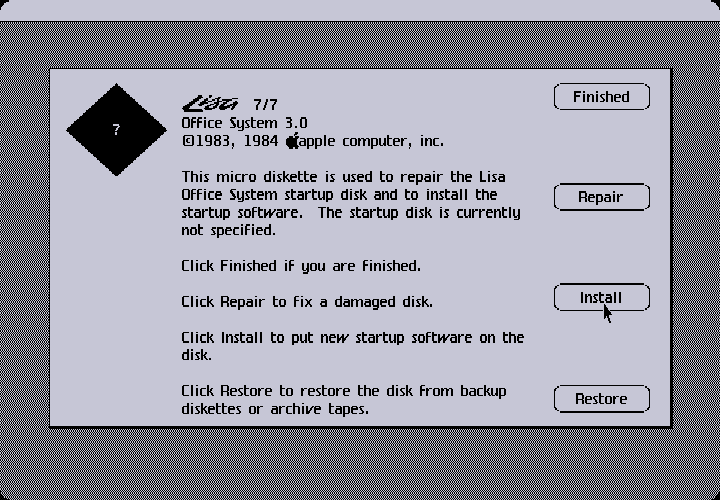 The backdrop is a photo of a Lisa that changes as the power light comes on and when you "insert" a disk. It even plays the sound of the Lisa disk drive running as you access the disk. To start the emulator you must press the "Power button" just as you would start a real Lisa. 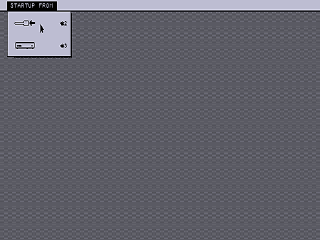 This emulator stretches the image vertically to compensate for the Lisa's non 1-to-1 video aspect ratio. 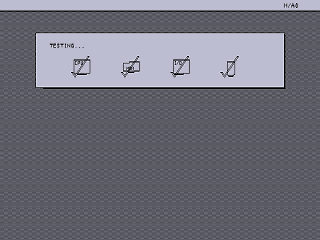 For the purpose of these screen shots I will show them as the emulator renders them, so there is some blockyness in places that would not appear on a real Lisa screen. 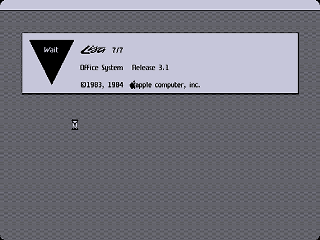 To see some photos and unstretched screen dumps see my other Apple Lisa Office System 3.1 page. The BIOS is entirely graphical. For example this is the "service mode" that is built in to the BIOS. This lets you view, edit and run anything in memory. It also lets you run some of the boot up tests in a continuos loop. From the BIOS you can select the drive you want to boot. 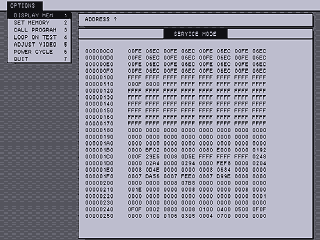 This emulator emulates the 3.5" 400k disk drive of the Lisa 2 and the ProFile hard drive. At this time it does not emulate the 5.25" 800k Twiggy drives of the Lisa 1 and therefore can not currently run the original Lisa Office System. First things first, Installing the Office System on to the blank Profile image from the floppies. The installer says it is version 3.0 but it actually version 3.1. After formatting the Profile hard drive it proceeds to copy from each of the Office System floppy disks. Interestingly when it prompt you to insert the next disk it will automatically resume when the disk is inserted. Once completed the Lisa boots up to the Office System. This is the desktop as it first appears. The Desk menu is supposed to show a list of all of the icons on the desktop. Apparently there is some kind of bug in the emulator. 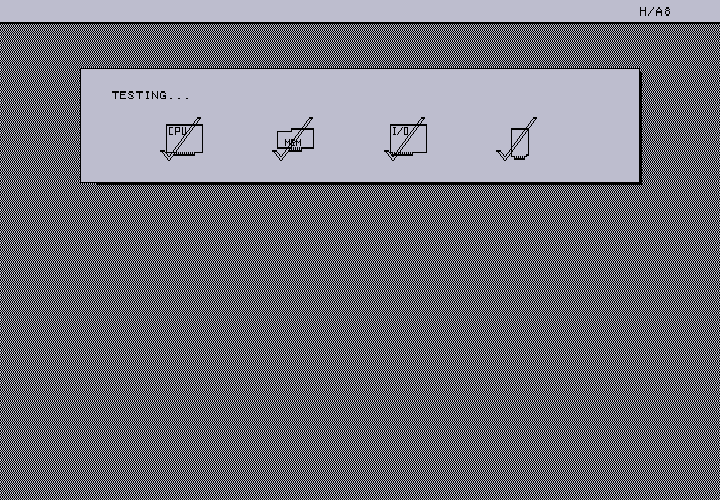 Also some of the applications will not draw their scroll bars properly.